Everything you always wanted to ask about Rush but were waiting for someone else to ask first. I couldn’t make it to/forgot about/couldn’t find you at the Dwight Hall Sign-Up Jam! Is my a cappella career over before it’s even started? Not at all! We’re sorry you missed the concert (it’s a lot of fun! ), but we’d be happy to fill you in for an audition time. Time slots are first-come, first-serve, but e-mail one of the rush managers with your availability and they will do everything they can to make sure we get to hear you! Now that I have an audition time, what should I sing? Honestly, sing anything that makes you feel comfortable, whether that’s Mozart or Motown. We’ve received some pretty rousing renditions of “Happy Birthday.” We’re just excited about hearing you sing, and we hope it’s something you love. Again, anything that makes you feel comfortable. Don’t worry about dressing to impress; if you’re worrying about tripping over your heels or fixing your cute halter, you won’t be focused on dazzling us musically! I’ve only sung in the shower/to the radio/in my dreams. Do I still have a chance? Of course! Some of our members had never sung in public before their auditions and we’re excited they chose to debut with us. I am an experienced musician. Will OOTB keep me challenged and interested? Yes! We pride ourselves on our challenging and dynamic arrangements, and work hard to involve interested members in extra layers of music development. Our songs are varied in musical difficulty, and give even the most seasoned singer material to work with. Starting your first year, you could even start arranging new songs for the group, or take on the new challenge of vocal percussion! Yes, yes it is. Our members have gone on to the most prestigious musical graduate programs, performed in professional opera productions, and produced shows on Broadway. I’m a sophomore. Is it weird for me to rush? Are sophomores ever tapped? In order: no, and yes! OOTB frequently taps sophomore rushees. Whether you’ve suddenly decided that there is an a cappella-sized hole in your schedule, or rushed before and want to try again, we’d love to hear you! What are these rush meal things? Are you trying to judge how much you like me? Rush meals are just the opposite — a chance for you to see how much you like us! Of course, any singing group is going to be a time commitment, so if you join a group and find out you just don’t click, the experience won’t be as much fun as it could be. Meals are a great way to get to know people in the group — and a wonderful way to get to know upperclassmen. There are so many things to do here! Will OOTB take over my life? We know Yale is full of amazing opportunities to do what you love; it’s why many people come here, and we wouldn’t want you to miss out. We do take rehearsal time very seriously — we rehearse six hours a week and have concerts throughout the year — but we make every effort to schedule around your commitments. 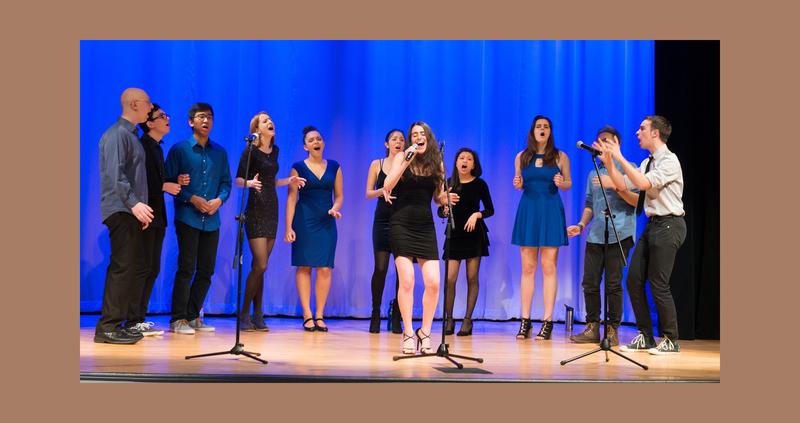 OOTB members have been Yale athletes, YDN editors, Glee Clubbers, Dramat board members and members of multiple other singing ensembles. We want you to do the things that you enjoy, and we hope OOTB is one of them!